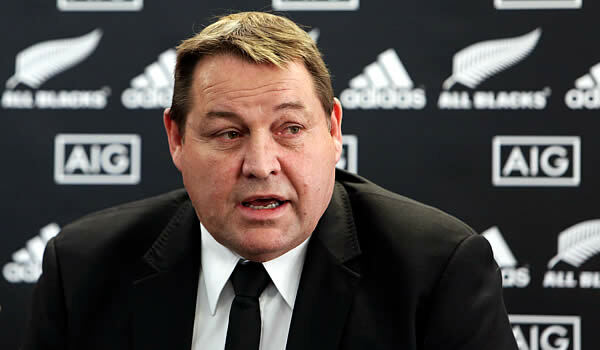 All Blacks head coach Steve Hansen has said that he expects newly appointed South Africa’s Springbok head coach Allister Coetzee to struggle under the new quota system. Coetzee was appointed as Springbok head coach earlier this week and has agreed on a quota system that will demand a 50-50 split between and non white players by the 2019 Rugby World Cup in Japan. Hansen said that former Stormers coach Coetzee who has been Springbok assistant coach twice, deserved to be appointed as the head coach. However Hansen said that it will be a tough job coaching the team and having to contend with quotas. “That environment hasn’t changed, so it’ll be just as tough for (Coetzee),” Hansen told Radio Sport. Hansen said that anyone who coaches a national team must have the skills of a politician to operate successfully but South Africa is a different and unique challenge. 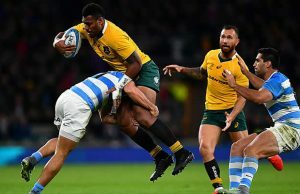 “What is different for him is that they’ve got a quota system and sometimes I think that means they’re not picking the best players they can,” Hansen said. Hansen said that it is important to respect South Africa’s drive to change the Springboks to be more representative of the population but points out that Coetzee will have extra challenges that other Test coaches do not have to work with. “It’s hard for us to wrap our heads around but we didn’t live in that country and it’s history. 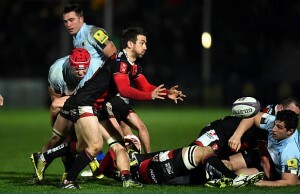 That history is still playing itself out and it’s not for us to bag them,” Hansen told Radio Sport. “At the end of the day, one thing I do know is that your sporting teams have got to be selected on merit because if they’re not people start questioning whether they should or shouldn’t be in the team. Under Hansen the All Blacks have won 7 and lost one match against the Springboks. The next meeting of the teams is in the Rugby Championship in Christchurch on September 17 and then in Durban on October 8. Very bad spelling and other errors in this article. It discredits the site. And so it begins. The proud history of the Springboks, white, black, coloured and others will now be tainted by the 21st Century racist policies of SARU.South Africa’s inability to get past color and the politics of identity will destroy the Springboks. The racist National Party of today is the racist criminals in the ANC who appoint “ministers” whose sole goal is to “brown” rugby, a sport only a tiny minority of “non-white” South Africans even gives a flip about. So sad. What not pick the best players? This pressure has already damaged the 2016 Super Rugby season. The Springboks will not recover from this racism for decades. Rather than learn from Madiba’s policy of reconciliation, the ANC is led by “get whitey” racists who care less about how ridiculous SARU looks to the world. IF this is genuinely about fairness and “representation,” where is the outrage over the nonexistence of whites on the Bafana Bafana roster? Oh, so the national soccer team does not need to represent all ethnic groups, but the national rugby team does? Nonsense. Only one white player on Bafana and they refused to even play the quality white goal keeper in the 2010 World Cup on home soil. I guess being married to a black woman is not “brown enough” for the racial judges in South Africa.